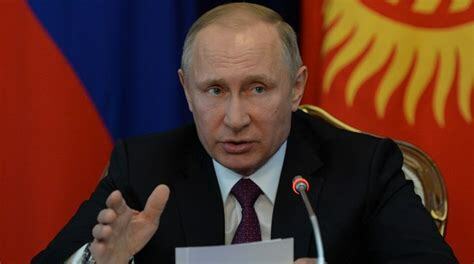 Russian President Vladimir Putin is in the news a great deal and the line Americans hear week after week during interviews with Washington's politicians and those entrusted with protecting our security is that Putin is a thug and a bully. This description of the former KGB officer is so ingrained in their repertoire that they seldom describe him in any other terms unless it is to add the words "dangerous or menace" into their performance in an effort to highlight the fact we should all be afraid. Clearly, the U.S. establishment loathes Putin and constantly paints him as an aggressor, a tyrant, and a killer that invaded and occupied Crimea. Putin took power in late 1999 at a time when Russia was defenseless, bankrupt, and being carved up by a group stealing its resources in collusion with America. Putin changed that and resurrected the crumbling empire once again into a nation-state with coherence and purpose. He is credited with halting the theft of his country’s wealth by the plutocracy and restoring Russia's military strength. Putin with blunt rhetoric refused to accept for Russia a subservient role in an American-run world under a system drawn up by foreign politicians and business leaders. The fact is many Russians credit him with saving Russia and Putin’s approval rating, after 17 years in power, exceeds that of any rival Western leader. His impressive strides toward making Russia great again explain why he is revered at home but he has also gained admirers in the West, despite a press that is every bit as savage to him as they are to President Trump. 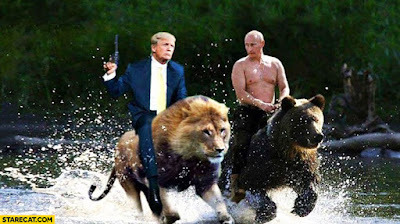 If you see the Putin image as somewhat hyped or orchestrated you are right and a "tough guy" image is what he projects. Over the years America's deep state has unleashed attack after attack upon Russia and its leader. Painting Putin as a bully and a thug and has placed economic sanctions on Russia. Much of the hostility toward Putin stems from the fact that he not only defies the West, when standing up for Russia’s interests, he often succeeds in his defiance and goes unpunished and unrepentant. Whether you love or hate the man one thing that is difficult to deny is that Putin has played one hell of a game. He has maximized the sometimes meager tools at his disposal. Putin is a power broker and over the years we have seen him reach out and establish relationships and bonds with many countries. We can thank Obama's misguided policies and all the anti-Russian talk flowing out of America for this. Much of what we see today grows out of Putin's mid-2012 response to Obama. Our deep state's relentless effort to destroy him has failed. Putin, when challenged, ran over Obama and showed the world who ran the show in both Syria and Ukraine. The policy Obama employed has in many ways backfired and only enhanced Putin's image. It also caused Putin to turn Eastward in an effort to expand and build economic ties with our enemies. Even today the narrative of how Russia interfered in our election also rings of hypocrisy to all those who remember how Obama threatened the UK just before the Brexit vote that if passed America would send them to the end of the line when it came to trade. Simply put, Putin is a thorn in the side of America's deep state and the pro "New World Order" forces. He stands as a shield against the Western progressive vision of what mankind’s future ought to be and rejects the New World Order agenda established at the Cold War’s end by the United States. By putting "Russia first" he defies progressives and speaks for those millions of Europeans who wish to restore their national identities and recapture their lost sovereignty from the supranational European Union. When pressed Putin is non-apologetic in reminding the world Russia has a huge nuclear arsenal and will use it if necessary. Years ago, Putin aligned himself with traditionalists, nationalists, and populists of the West, and against what they had come to despise as their countries are slowly assimilated into the New World Order by the politicians they have elected to protect their culture and civilization. Casting himself as a God and country Russian patriot Putin also stands against the progressive moral decline of a Western elite that has cut its Christian roots to embrace secularism and hedonism. His supporters tend to be dubious of the claims flowing from their own government and the mainstream media which often whitewash some rather unsavory behavior on the part of their country while at the same time fixating on stories of Putin's old KGB comrades assassinating journalists, defectors, and dissidents. The fact is Russian President Vladimir Putin not only remains popular in his own country where he was recently reelected by a huge margin but he also has admirers in nations whose political establishments are outright hostile to him. The fact is, Putin is viewed favorably by many people including millions who wish to see their nations secede from the EU. 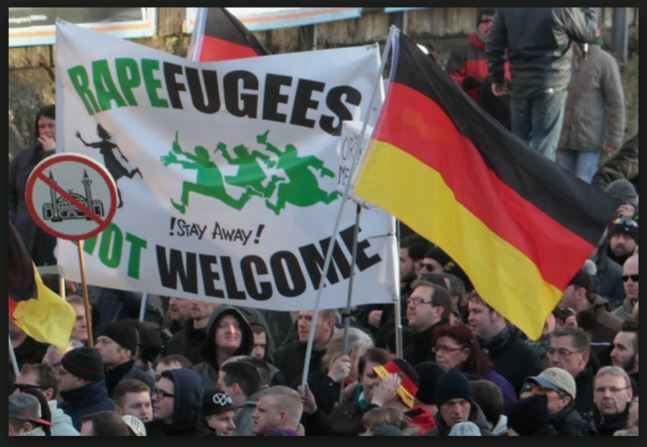 Many of these people see no problem and even their right to have their nation defined by a shared heritage, which usually includes a common language, a common faith or even a common ethnic ancestry. It will be most interesting to see if anything good comes from a meeting between Trump and Putin. working together the two countries could go a long way towards creating a far less dangerous world. Footnote; This is part one of a two-part series. Part two will delve into things most Americans may or may not know about Russia. It will make an effort to bring a better understanding as to why the deep state continues to take a hard-line against more normal relations. Part two has now been published, the link is located below. Both politically and economically the EU has few good options or pathways forward. It has entered a rough patch which in many ways is the result of years of inaction. Its banks are weak and concerns over the toll millions of newly arrived refugees will take on society are reaching a breaking point. Many of the issues that Donald Trump used to propel himself into the Presidency are hammering away at the foundation of the Euro-zone. 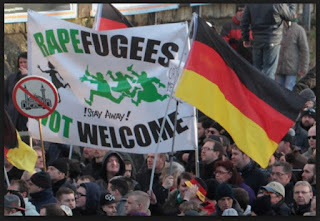 We should remember high youth unemployment and those coming into the area with no desire to assimilate and adjust to existing European social norms are fueling an already tense situation. The debate as to whether to welcome or refuse immigrates and refugees will continue for a long time but it is difficult to deny those allowed to enter the EU are drawing on the resources of EU countries. 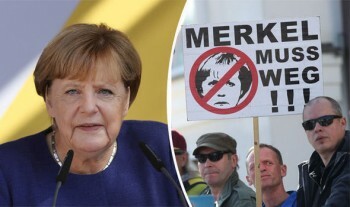 This has created what Bloomberg describes as "an escalating crisis that threatens to unravel the bloc’s passport-free travel area and dissolve Germany’s governing coalition." Europe, often referred to as the old world, has reinvented itself many times. This term is used in the context of, and contrast with, the New World (Americas). While the Old World also includes Africa and Asia, collectively, during most of the last few centuries Western Europe was calling the shots as it developed and colonized the world. 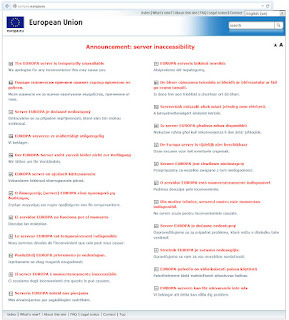 The major overhaul of Europe following World War II may have rebuilt industries and helped clean house but as everywhere else in the world, it left an army of bureaucratic clowns and politicians at the top of the power pyramid and it didn't take long for them to muck up the works. Many times throughout history we have seen the only thing that brings about real change is a crisis so large that it shakes institutions to their core and that may be what is about to occur. One issue the Eurozone has still yet to face in any real way is whether free trade really works. The Eurozone like many areas has not come to terms with the fact they are running a massive trade deficit with China. So far they have sidestepped the heavy onslaught of massive amounts of government-subsidized goods flowing in from Asia. While the EU has sported a huge trade deficit with Asia, America has taken the brunt of the pain over the last few decades by throwing its doors wide open. 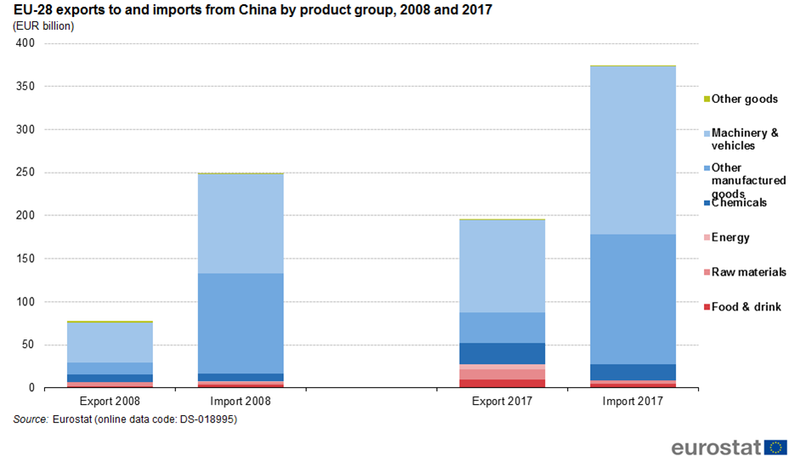 I want to suggest that China has continued to become more competitive than Europe in manufacturing and if trade policies remain unchanged the deficit is about to explode. One thing is clear, and that is both the EU and America consumers have benefited and seen inflation muted by Chinese imports but it also means fewer jobs at home. Another problem is based on the narrative developed economies need and always benefit from the growth created by simply adding more people into the mix. The Pew Research Center, a nonprofit think tank in Washington, D.C., has concluded that immigrants are needed to continue to drive growth in the workforce, however, I content this is predicated on the flawed assumption that all growth is good. 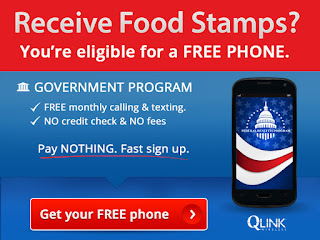 May I suggest quality is often more important than quantity when it comes to propelling a country forward and that the burden of feeding, educating, clothing, and housing those who add little to production can far outweigh the illusion of growth surrounding their arrival. When a machine can rapidly do the work of a hundred men the true value of human labor is greatly reduced. To make matters worse if those flowing into an area are resistant to adopting the mores of society and assimilating into the culture problems can develop, it is only by working in lock-step with the general population to be productive can this be avoided. An article By Kari Paul recently published on MarketWatch claimed that economists say 30 years of data show asylum seekers are not a burden on European countries. They may, in fact, be a benefit says the French government research organization the Centre National de la Recherche Scientifique (CNRS), Clermont-Auvergne University and Paris-Nanterre University. Researchers examined the arrival of asylum seekers in European Union countries between 1985 and 2015. This followed the Yugoslav Wars between 1991 and 1999 where they linked an increase in immigrants who become permanent residents with a series of positive effects such as an increase in GDP, a decrease in the unemployment rate, and increased tax revenues. Again, it could be argued much of the so-called positive effect was a "sign of the times" rather than a reflection of merely adding bodies to the population and that they had more skills and better educations than many of the recent arrivals. Part of the problem currently faced is that the Euro-zone and the European Central Bank have gone out of their way to sidestep correcting the structural problems that have grown over the years and the current economy is rather weak. The time the area bought since the 2008 economic crisis by low-interest rates and easy money dubbed QE has been squandered. Today with evidence of slowing growth and few good options it is possible the union itself may be in danger of dissolving especially if the euro falls into problems creating a scenario of bank contagion and failure. Elon Musk may soon get his comeuppance for the total arrogance and disregard for what many people think are the rules of the road or common social norms. We don't hear this term often but it means a punishment or fate that someone deserves. Each day the divergence seems to grow larger between the Elon Musk we see and Elon Musk the visionary which the media claimed would revolutionize the way we live. The stock valuation of Tesla is over the moon for a company that has time after time failed to meet the benchmarks it has set for itself. Not only is the company burning through cash but it is having difficulty producing cars in the numbers and quality they promised. This has resulted in Tesla becoming one of the world’s most-shorted stocks. 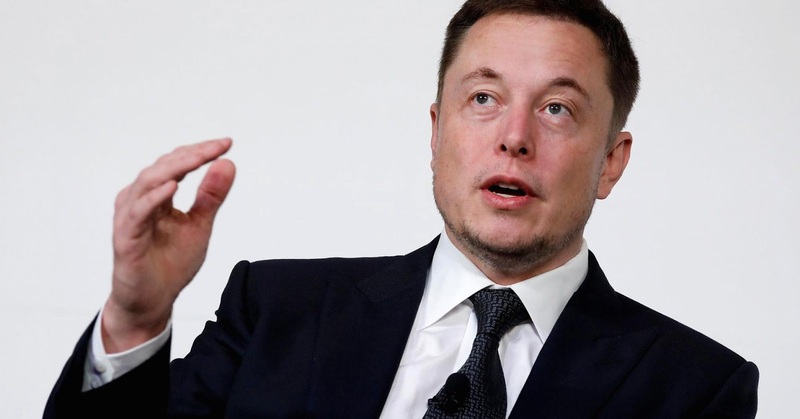 The day Musk is handed his just dessert could not come fast enough for the growing number of investors and Musk watchers that have become disenchanted by his erratic and sometimes capricious ways. This is highlighted by a recent effort to have him replaced as CEO of the company he founded by one of its largest shareholders. In reaction to this growing pressure, it seems Musk has redoubled his efforts to both talk up the stock price and returned to something that has helped in the past and that is to make predictions of pain for those who doubt Tesla's future. Shorts faced, in the words Musk used in his Twitter feed, the “short burn of the century". It should be noted this was in conjunction with him making a substantial buy of Tesla shares that kicked off a rally. Regardless of Tesla's problems, many in the media continue to spin out positive stories such as a Market Watch piece titled; "Black Swan Author Defends Tesla After Actress Post Video Of Car Fire" This article may have exaggerated what Taleb actually said. It states that while Tesla skeptics, of which there are many, piled on, Nassim Taleb, New York University professor, “Black Swan” author and Tesla owner, stepped up to defend the company with some tweets of his own. Taleb pointed out that when it comes to cars catching fire numbers from the National Fire Protection Association states that two-thirds of the 152,300 car fires per year, on average, are caused by mechanical or electrical failures. Part of the recent short squeeze rally concocted by Musk centers around his showing off Tesla’s newest production line in a weekend tweet as the electric-car company plunges forward towards its goal of making 5,000 Model 3 cars a week by the end of June. This new production line is the third at Tesla’s California facility. He claims the line was built in just three weeks in a tent-like structure next to the factory. This new line is rolling out dual-motor, high-performance $78,000 Model 3s that was introduced to the line only a few weeks ago. Musk was so happy that he sent an email to staff congratulating them on their efforts but said “radical improvements” still need to be made to reach their production goal. My point is that a CEO's job is not to hype up a companies stock but to run and guide a company forward taking Musk's actions over the line and into the area of blatant stock manipulation. Where there is smoke there is generally fire and this is not a pun referring to the recent number of Teslas that have burst into flames but has to do with the reality of so many investors being negative on Tesla stock. Unfortunately, for the shorts, shares are up almost 30% in the past month mainly as a result of Musk's antics and toying with those of little faith. Between his constant warnings such as, "They have about three weeks before their short position explodes." Such statements do not add to true price discovery but can extend a Ponzi scheme that is harmful to investors. The IMF's primary purpose is to ensure the stability of the international monetary system, this includes the system of exchange rates and international payments that enables countries (and their citizens) to transact with each other. 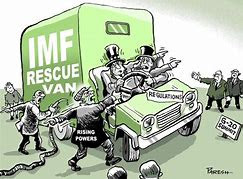 The IMF loans and redistributes money around the world helping to stabilize countries if they are failing or economically unstable but many people do not understand who the IMF is or how it is funded. While the IMF exerts a fair amount of influence, it is political in nature and often seems to push whichever way the wind blows bring up questions as to how muddled this system is. With a loud voice in the process of supporting various countries, the IMF is overrated as to how much it actually contributes to solving problems. In reality, the organization often uses only a small amount of money to make the very desperate march in line, at times this means not solving problems but helping to kick the can down the road. 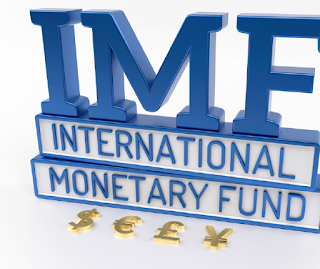 As to who and what the IMF is, we all know IMF stands for, the International Monetary Fund. It is an organization of 189 countries, working to foster global monetary cooperation, secure financial stability, facilitate international trade, promote high employment and sustainable economic growth, and reduce poverty around the world. It is a way for rich nations like the United States to manipulate, redistribute or loan money to troubled nations without putting the issue out in the open. 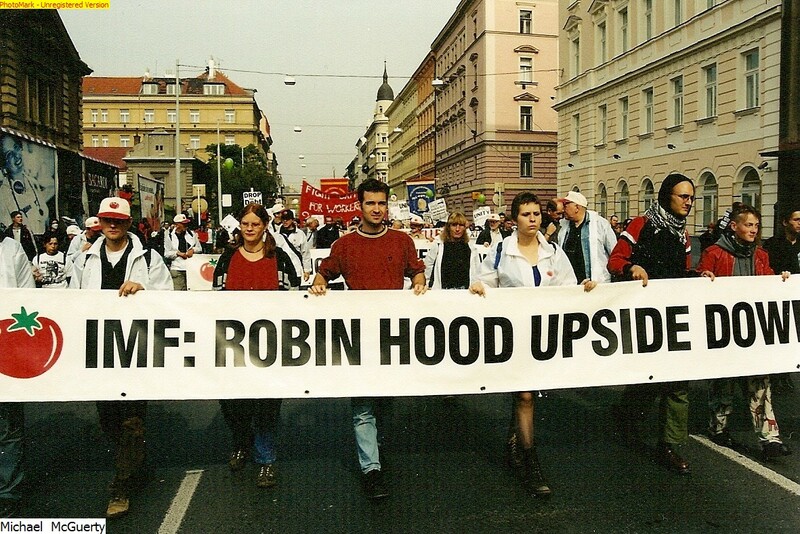 As an institution the IMF acts as a mechanism to stabilize the world economy, however many countries see it as merely a glorified mouthpiece for the worlds economic powers seeking stability. Following its mandate to shore up the weak economies thus protecting loans about to default the mechanisms of economic stabilizers it employes can be used to move, support or break currency trends, some more quietly than others. Currency swaps, both reported, and "unreported" can lead to games, abuses, and the false illusion of stability. For example, Goldman Sachs helped Greece raise over a billion dollars of off-balance-sheet funding in 2002 through a currency swap. This allowed the government to hide debt. Greece had previously succeeded in getting approval to join the euro on 1 January 2001, in time for the physical launch in 2002, looking back we now see this was done by faking its deficit figures. When the IMF weighs in it adds validity to the message rich countries want to promote, this is often the message of "be responsible". The amounts of loans and monies promised often do not appear large to many Americans in relation to budgets in the United States. Why do these numbers seem so small? You might think that it is because these countries are so very small but another possibility is Americans are just "crazy stupid" in the way they spend and treat money. With the dollar being the reserve currency of the World we have become a bit warped making it difficult to internalize how large a store of value a billion dollars actually represents. The IMF is not limited to just dealing with America's neighbors but is currently involved in countries all over the world such as Cyprus, Tunisia, Argentina, Ireland, Greece, and many more. The rapidly changing economic landscape across the world has a way of creating the impression the IMF is putting out conflicting statements. Often their positions appear to be "all over the board" this leads me to believe that while the IMF tries to plug holes and put out fires, they are behind the curve. Part of the problem remains that no "single bullet" will fix all of the worlds economic ills. For example what recipe will allow Caribbean countries to deal with their various problems such as high debt and low growth, while at the same time strengthening their financial institutions. This means the IMF can only jump in and assist and their power is often rather limited. One of the things the IMF does is to offer countries flexible lines of credit as a way to reassure markets they are following economic policies approved by the Washington-based fund. The IMF said recently reported that it had reached such an agreement with Argentina for a $50 billion credit line to stem a drop in the value of the Argentine peso and shore up the government of President Mauricio Macri, as he accelerates plans to reduce fiscal deficits. The Argentine peso has dropped about 20% against the dollar since late April. 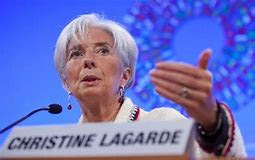 Christine Lagarde indicated the fund supports Argentina's plan to try to cut its budget deficit and bring down soaring inflation and said: "As we have stressed before, this is a plan owned and designed by the Argentine government, one aimed at strengthening the economy for the benefit of all Argentines." While director Christine Lagarde is popular the agency often lacks real solutions and answers for the worlds cash-strapped. Several years ago Lagarde while on the Jon Stewart Daily Show bragged and conceded how bad things were at the depth of the crisis and how they were forced to lie about it, this does wonders for my confidence in the system. 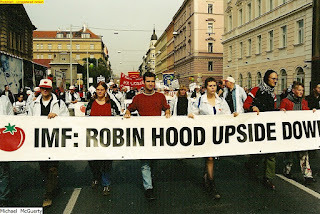 Bottom line the IMF is generally behind the curve in our fast-changing world and simply a tool for rich countries to promote their agenda, simply put, the IMF does not have all the answers. While pushing and putting pressure on Europe from the bully pulpit, the IMF lacks the ability to solve really big problems like those facing the euro and what to do with Greece or about Italy's burgeoning debt. Unlike events that happen in Las Vegas that has prompted the slogan, "anything that happens in Vegas stays in Vegas" things that happen in China do not stay in China. This is obvious from the huge amount of wealth fleeing the country over the last few years. Chinese money and wealth flowing across porous borders can be seen in soaring house prices in Vancouver and most of Australia, however, the subject we want to focus on at this time has to do with recent data from China indicating a broad slowdown in activity. 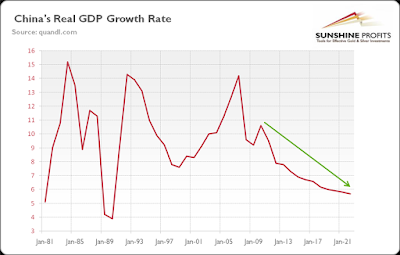 Data recently released points to the slowest investment growth in over 22 years which is a clear indication that regulatory crackdowns in the banking sector are starting to filter through to the broader economy. Reuters reports data coming out of China indicates the country's economy is starting to cool from a multi-year crackdown on riskier lending that is pushing up borrowing costs for companies and consumers. This is thought to be the main reason China’s central bank left short-term interest rates unchanged, this surprised markets which had expected it to follow a hike by the Federal Reserve. China’s fixed-asset investment (FAI) growth cooled to 6.1 percent in January-May from the same period a year earlier, the slowest pace since at least February 1996. 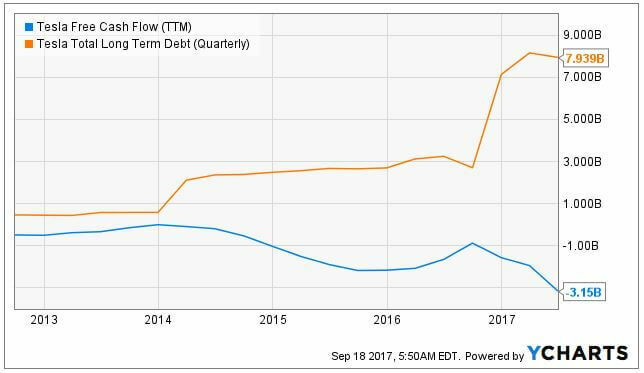 This is being seen as more companies have started complaining that it is harder to get financing and a growing number of firms are beginning to default on bonds. 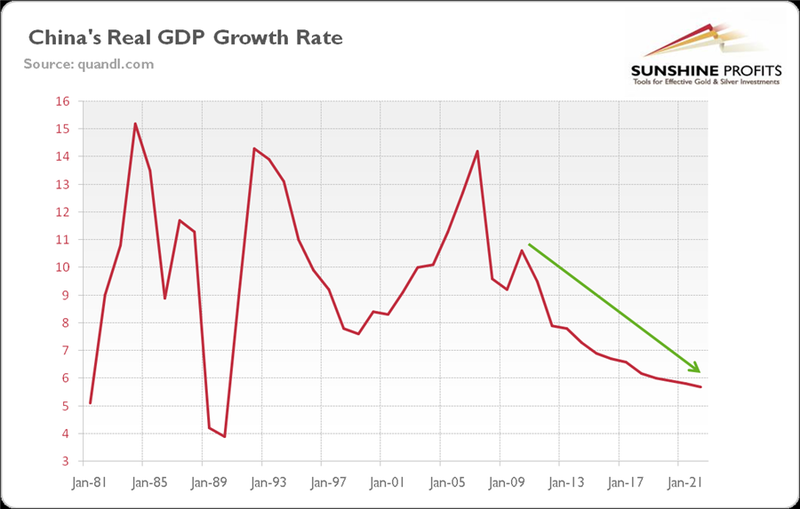 The main reason China's headline growth has appeared so resilient up until now is that government policy has focused on the banking sector rather than corporate debt reduction or deleveraging. With the GDP expanding at a steady 6.8 percent for three straight quarters many China watchers have been optimistic China's multi-prong crackdowns on pollution, questionable local government spending and off-balance sheet “shadow” financing was moving along without a hitch. Of course, most of those projecting huge future growth point to OBOR and the powerful engine of infrastructure spending to pull the economy forward and even the fact this slowed to 9.4 percent in the first five months, from 12.4 percent in January-April and warnings from the IMF of malinvestments do little to dampen their enthusiasm. With many infrastructure projects in the pipeline, it is a relatively easy sector for the government to inject stimulus if it chooses. As for other data, May industrial output rose 6.8 percent from a year earlier, versus estimates for a small dip from April’s 7 percent. Retail sales grew 8.5 percent in May, the slowest since June 2003, analysts had expected a slight pick-up to 9.6 percent. Still, at this point, even as overall credit growth and private sector investment cools it is expected the economy will maintain relatively sound in the second half and grow around 6.5 percent for the full year, in line with the government’s target. 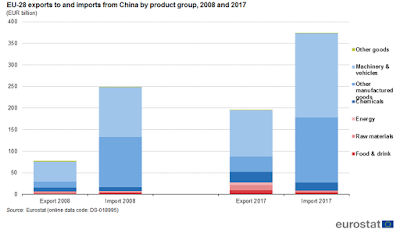 Trade stood out as a bright spot in China's latest numbers but the threat of rising trade tensions with the United States could end that and exporters front-loading their shipments may have added to those numbers. Still, key to what happens is the policy of the central bank (PBOC) where recent easing measures appear to have had little positive impact on the economy. To some extent the PBOC is trapped, it can't hike over fears of slowing down the economy too far, and it can't ease or else risk another round of capital outflows and a spike in inflation. It is interesting how turmoil in Europe caused by problems flowing from Italy, the summit between Trump and Kim, and rumblings in emerging markets have temporarily taken eyes off of China. 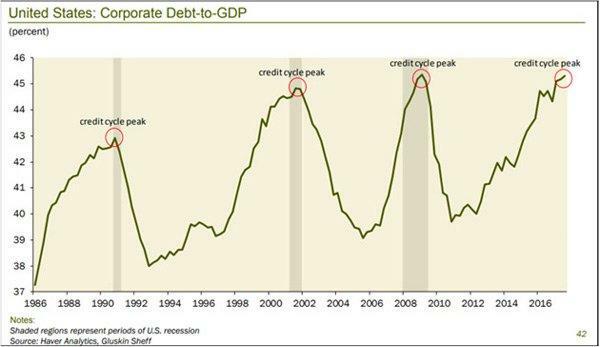 In the past, the massive amounts of new credit being created in China have caused havoc in markets across the world and pushed up total debt to dangerous levels. This is all occurring at a time when the amount of geopolitical upheaval going on between Washington and Beijing is extremely high and a slew of trade data from China has not been released on time. This has increased concern over the lack of transparency of future data releases and has caused suspicion to grow over Chinese intent and if they are hiding something. If indeed, things that happen in China do not stay in China, then we should be prepared to see any problems or mishaps in China to spread and ripple outward to infect global markets. Footnote; For more on China see the links posted below. Over the years we have been hearing a lot of good things about "Public-Private Partnerships" and how they can propel forward needed projects by adding an incentive for the private sector to undertake projects they might choose not to do alone. Often this is because the numbers often simply don't work. These collaborations between government and a private-sector company while touted as our salvation tend to create boondoggles and white elephants. These so-called partnerships constitute a great risk and are ripe for abuse with the devil often lurking in the details buried deep within complex agreements. These projects are often haunted by problems that go from one extreme to another ranging from over-engineering to shoddy work with little oversight. Phone Companies Loved This "Joint Venture"
Often the private partner participates in designing, completing, implementing and funding the project, while the public partner focuses on defining and monitoring compliance with the objectives. Risks are distributed between the public and private partners according to the ability of each to assess, control and cope with them. The risk-sharing may be in the form of "guaranteeing" a certain occupancy such as was the case of a hotel recently constructed where I live, or the government may pick up part of the cost of the project by providing low-cost loans or supplying part of the infrastructure needed for the project to proceed. Public-private partnerships have typically been used and found in municipal, transport, and environmental infrastructure such as highways, airports, railroads, bridges, tunnels, water and wastewater facilities, school buildings, prisons, student dormitories and entertainment or sports facilities. They also hide in the form of "funding and promoting research." Expensive studies paid for by the government to determine whether a project is viable or needed by a community is often the first step down this slippery slope. Public officials are pushing on a string when they envision and undertake glorious and unsustainable projects in an effort to better their communities. For a second we will consider their motivation as pure but even if it is the possibility for corruption is everywhere. This can be seen in situations where the public partner agreed to pay a guaranteed a minimum occupancy or income no matter the demand and it turns out that there are fewer users than expected for the service or infrastructure. An example of government funding and joining up with a company is Solyndra, the solar-panel maker that received more than half a billion dollars in federal loans from the Obama administration only to go bankrupt but it isn’t the first dud for U.S. government officials trying to play venture capitalist in the energy industry. Since 1961 an Energy Department report in 2008 estimated that the federal government had spent $172 billion on basic research and the development of advanced energy technologies. 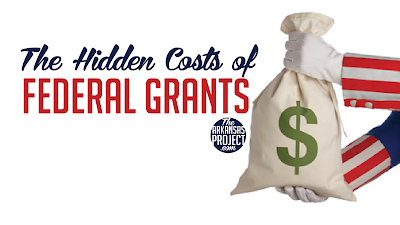 The Clinch River Breeder Reactor, The Synthetic Fuels Corporation, The hydrogen car and Clean coal are but a few examples spanning several decades that make up a graveyard of costly and failed projects funded with taxpayer money. Not a single one of these initiatives which received great praise when conceived is producing or saving a drop, a watt or even a whiff of energy. Instead, these efforts of government to partner with private enterprise have managed to burn through hundreds of times more taxpayer money than the ill-fated Solyndra. Over the decades, many of the governments failed projects have been hidden from public view in that they are not hard assets on the ground but rather in IT projects that simply do not get the job done even after a huge number of extensions and cost overruns have occurred. A Bookings Institute study about failed government projects found that improper oversight and/or poor leadership were often to blame. After studying thousands of government IT projects worth $10 million the study found that as little as 6.4% could be classified as successful. Though it is not strictly an IT project, the US Air Force’s F-35 fighter jet program has been plagued by complex software problems that have led some to question its viability. If the critics are proved right, the $400 billion F-35 program might one day be viewed as the most expensive failed government project in modern times. It is another example of how hard it is to admit failure and stop throwing good money after bad in an effort to salvage some part of a bad investment. The truth is that history is littered with these failed projects. Often their announcements are accompanied by promises and hype but sadly the synergy these projects are intended to create never occurs. These so-called, "bridges to nowhere" and boondoggles tend to be forgotten and brushed aside each time public servants and their cronies get together. In America they are known as "Public-Private Partnerships" and in a country like China where the economy is controlled and driven by the government, they could be viewed as just another form of corruption. In many ways, the whole concept of China's, "One Belt One Road" initiative could be described as an extension of public-private partnerships into an "If We Build It They Will Come" scheme. Government officials have used wishful thinking and the idea that "If We Build It They Will Come" as justification and the foundation to undertake monuments to their glory. Often public officials are pushing on a string when they envision and undertake glorious and unsustainable projects in an effort to better their communities. For a second we will consider their motivation as pure but even if it is such that does not guarantee a positive result. They promote the narrative it will create growth and prosperity to move their economy forward. Tossing out the virtues of a project and the narrative it will pay for itself many times over creates a win-win scenario leaving those promoting the project as forward-thinking heroes. Interestingly as you might expect. 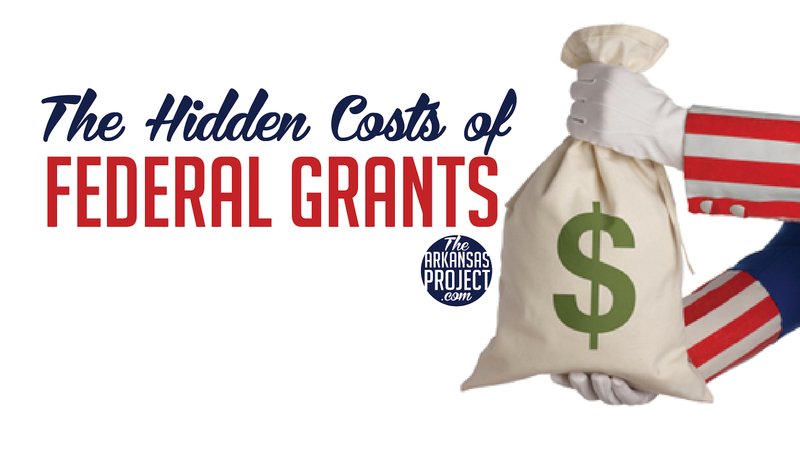 Federal money often flows into these Public-Private Partnerships so that local officials can paint them as freebies that cost the taxpayer nothing. A white elephant is a term derived from the story that the kings of Siam, now Thailand, would make a present of one of these animals to those they wished to ruin. This is a possession which its owner cannot dispose of and whose cost, particularly that of maintenance, is out of proportion to its usefulness. In the same way, the public is often haunted by the products what flows from governments meddling in the business sector. Local and city governments also love to exercise this tool to push their growth agenda forward even if they are heavily indebted, the secret is to stretch out the timeline. In the city where I live, I'm seeing financially unviable projects move forward based on partnerships that have contract periods of 25 to 30 years or longer. Many of these projects like wasteful infrastructure projects are the politicians way of creating jobs today and based on the hope they will prove to be a valuable asset in coming years. While it is difficult in our fast moving world to remain vigilant to such schemes being pushed through we as citizens should be very leery of such projects. Voters caught up in their own busy lives or simply too lazy to demand good governance quickly forget or appear powerless to halt their public servants from playing fast and loose with taxpayer money. This is why we should fear the promise of something for nothing and these so-called investments for the greater good. Under the category of "sometimes you don't know what you don't know" may be the fact that North Korea claims a long list of grievances against America dating back to right after World War II. 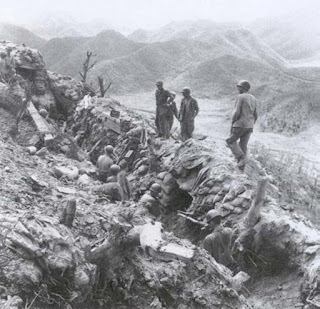 A blog site that I follow by the name of Viable Opposition which has a reputation for good research recently published an article titled; "War Crimes in Korea - Guilty as Charged" where it presented some rather damning evidence of U.S. crimes in Korea leading up to and during the Korean War. Many of these are contained and revealed in a 1952 report issued by the International Association of Democratic Lawyers (IADL), A Non-Governmental Organization. Most Americans take a dim view of North Korea and see its government as evil to the core. For years Americans have been told how the harsh oppressive regime has been responsible for the deaths of millions of its citizens from starvation. Life for most of North Korea’s 25 million people is grim with frequent nationwide famines due to a combination of bad weather and regime mismanagement of the economy. Tough methods are often used to keep the North Korean people under control which means human rights monitors are generally banned from the country and very little radio communication between citizens and outsiders is allowed. This means many North Koreans do not even know just how poor and backward the country is. 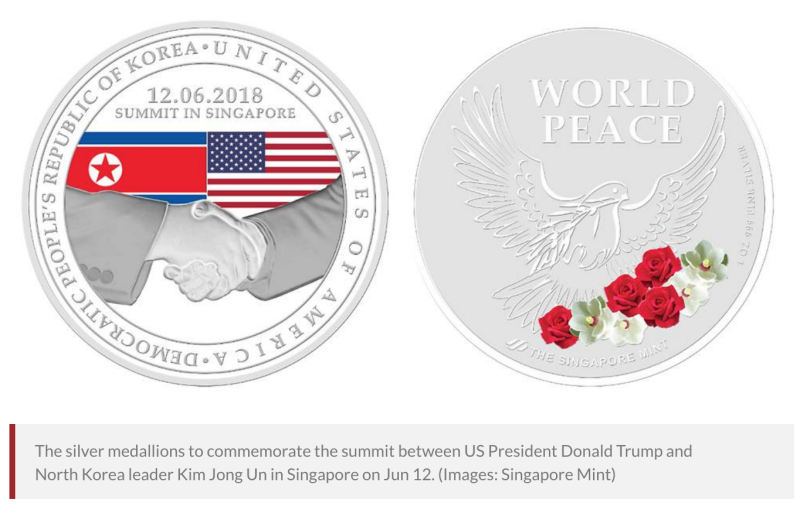 This all becomes rather important considering the Trump-Kim summit scheduled to be held at a luxury resort on the island of Sentosa in Singapore on June 12th. Singapore’s role as host of the summit comes with significant expenses, including extensive security measures. Former U.S. Ambassador to Singapore David Adelman said. “For Singapore, the benefits of hosting the summit clearly outweigh the costs. Singapore understands the value of being a good global citizen." Hosting the summit further develops Singapore’s reputation as a place where East meets West. 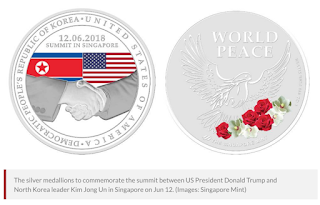 While China is not a recognized player in the summit between President Trump and North Korean leader Kim Jong Un they will be busy protecting their interest. This means U.S. officials will be prepared to counter a wide variety of spying techniques Beijing might use to get all they can out of assisting America and North Korea in reaching an agreement. If China offers to guarantee to place North Korea under an umbrella of safety such a move would go a long way in allowing Kim to consider giving up his nuclear arsenal. Americans are naive if they think China won't exact a price for this cooperation whether it is stepping away from Taiwan, standing down in the South China Sea or allowing China to continue to abuse us in trade. The report sighted at the beginning of this article is so damning it is very difficult and almost un-American to take it to heart, however, we should also remember that war has a way of turning the enemy into monsters. This allows inhuman acts not only to occur but to be justified. Viable Opposition should be applauded for finding what most of us would consider a rather obscure document that has been buried in time that might help us understand why the Korean peninsula has never been able to heal and families remain torn apart and separated after so many decades. The war, of course, followed World War II pitting America against the spread of Russian and Chinese influence at a time of elevated fear. War is ugly and emotions run high which means soldiers retaliate when they see their brothers killed. The IADL found many things that will bother Americans. The commission indicated that American forces in Korea used bacteriological warfare against both the DPRK armed forces and the nations civilian population even using insects to spread disease. 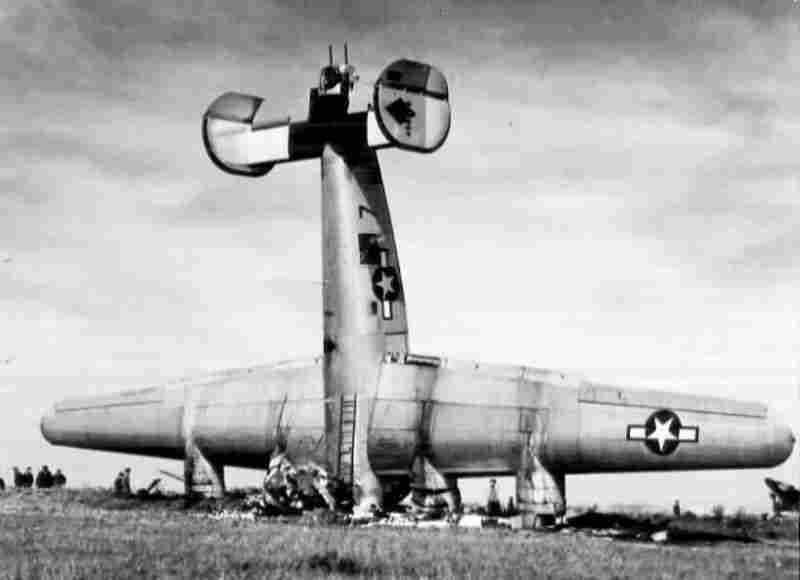 In addition on various occasions, American planes spread asphyxiating and other gases which fall into the category of chemical weapons. Even more troubling and supported by witnesses are huge mass massacres and intentional attacks on civilians. The bottom-line is the unanimous conclusion was the United States was guilty of crimes against humanity during the Korean War and that there was a pattern of behavior which constitutes genocide. Viable Opposition backs this up with the more recent conclusion of the 2001 Korea International War Crimes Tribunal which examined the testimony of civilians from both North and South Korea. It reports that each of the nineteen separate crimes alleged in the initial complaint they looked at has been established to have been committed beyond a reasonable doubt. This is no small thing, from the middle of 1950 to 1953 the conservative western estimate is that over 4.6 million Koreans perished. This includes 3 million civilians in the north and half a million in the south. Again, terms such as abundant evidence of genocidal U.S. conduct, systematic leveling of buildings, deliberate destruction, illegal use of biological and chemical weapons, mass rapes. widespread atrocities committed by U.S. and ROK forces against civilians and prisoners of war are used. This was backed up by documentary and eyewitness evidence. Less known was that in the five years prior to this the Tribunal concluded the US government acted to divide Korea against the will of the people opposing and disrupting plans for any peaceful reunification. They reported during this time we trained, directed. and supported the ROK in the murder, imprisonment, torture, surveillance, and harassment of hundreds of thousands of individuals and groups that were sympathetic to the north or considered nationalist. This included even peasants seeking land reform and union organizers. To make matters worse it seems the U.S. government systematically manipulated, controlled, directed, misinformed and restricted press and media coverage in a way that allowed all this to unfold. Sadly, what I have written is a very watered-down version of what was presented in the Viable Opposition piece linked at the beginning of this article which I strongly urge you to read. To be quite frank I was appalled at the allegations levied against America but knowing how facts are twisted and propaganda is used by governments I should not have been. In no way is it my intention for you to think I'm soft on North Korea, however, if any validity at all exists to the claims made in the 1952 IADL and the 2001 Tribunal reports some of North Korea's fear and distrust of America becomes more understandable. It has been said that when skyscrapers are being planned and built everywhere it is generally a sign the market is topping and about to crash. I would like to suggest another sign the economy is no longer linked to reality is when those covering financial matters begin to mix up the amount of money they are reporting in news stories and nobody notices or cares. Today the confusion is between billions and trillions, years ago it was millions and billions but we have moved on. The link between what is real when it comes to the cost of living and the numbers we see and hear is becoming strained. Trillions and billions are numbers that both represent huge quantities, however, we hear them so often we forget the difficulty of internalizing the true magnitude and massive amount of money they really represent. Adding to the confusion is that many of the stories we see still refer to far lesser amounts such as millions. Please don't get me wrong, a million still represents a very large number but pales next to its much larger brethren a billion which in fact is a thousand times larger. 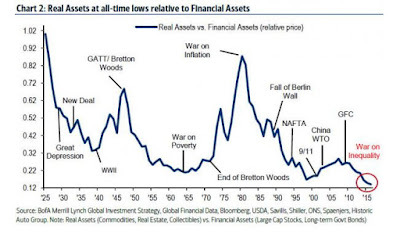 This is all linked together by the fact it is insane to think governments spending far more than they take in each year sooner or later will not affect the value of assets. Debt and inflation have an interesting relationship and share an almost elastic sort of bond with the perceived value of tangible assets. I remember being appalled to see what I considered to be an outlandish and massive number as to the cost to rebuild New Orleans after Hurricane Katrina. Over the years the cost to repair damage from natural disasters has skyrocketed in relation to the actual damage. 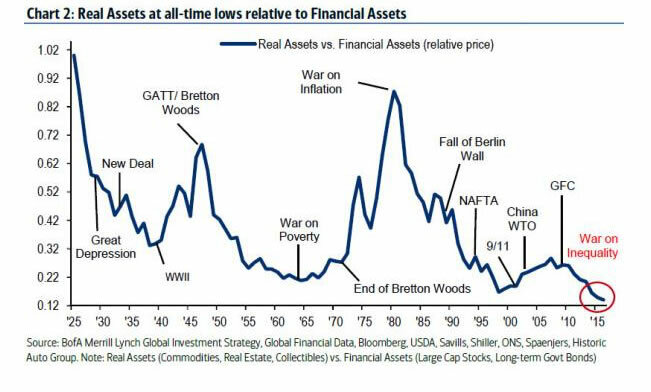 The chart to the left shows real assets at an all-time low relative to financial assets at the end of 2015 and I contend things have only gotten worse. These visual aids are from an article several years ago titled; "An Ugly Math Primmer On American Debt" where I attempted to show the relationship between these numbers and the amount of money each represents. At one time a billion dollars was a massive amount of money and it still is. Most people that have not thought about it might not think so considering how modern media and politicians throw the "B" word around. On several occasions, I have heard a billion dollars accidentally confused with its much smaller sister the million marker. This drives me crazy. When someone misspeaks and says " the cleanup effort for Superstorm Sandy may run as much as 60 million dollars." With a billion dollars being a thousand times larger this confusion is undefendable. A Billion Dollars Is A Great Deal Of Money! Internalizing the magnitude of the difference! A trillion seconds is 31,688 years! Now back to our topic. Making these numbers real so we can understand how it interrelates with our economy is no easy task, but let's have a go at it. In an effort to keep this simple I have chosen to focus on America. A similar formula can be created for almost any country. To make things easy lets us do a bit of rounding off and work with easier to manage numbers. Not lying about the numbers to arrive at a clear picture of reality is important. Unfortunately, we are not talking about a $100 billion federal deficit but six or eight times that amount. One trillion dollars is ten times the $100 billion multiplied out above. That would represent a staggering $3,000 per person and $10,200 per family being spent each year, year after year, it adds up very fast! Again we must remember nearly half of American households do not pay taxes, and if they don't this means someone else must pay their share for them. Sadly, these are the numbers propelling the economy forward, and it is not sustainable when compared to wages and incomes. 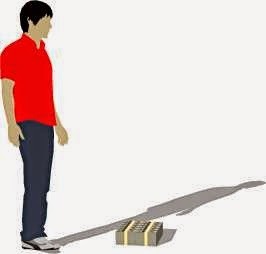 Please note; Massively compounding the problem is the realization that most people such as infants, children, the disabled or unemployed could not pay their share if their life depended on it, this transfers the burden to the remainder of society. The bottom-line is that the numbers we see and hear are mind boggling and crazy. When you start talking about these numbers in multiples of thousands, tens of thousands, and even more the task of comprehending and understanding them becomes nearly impossible. 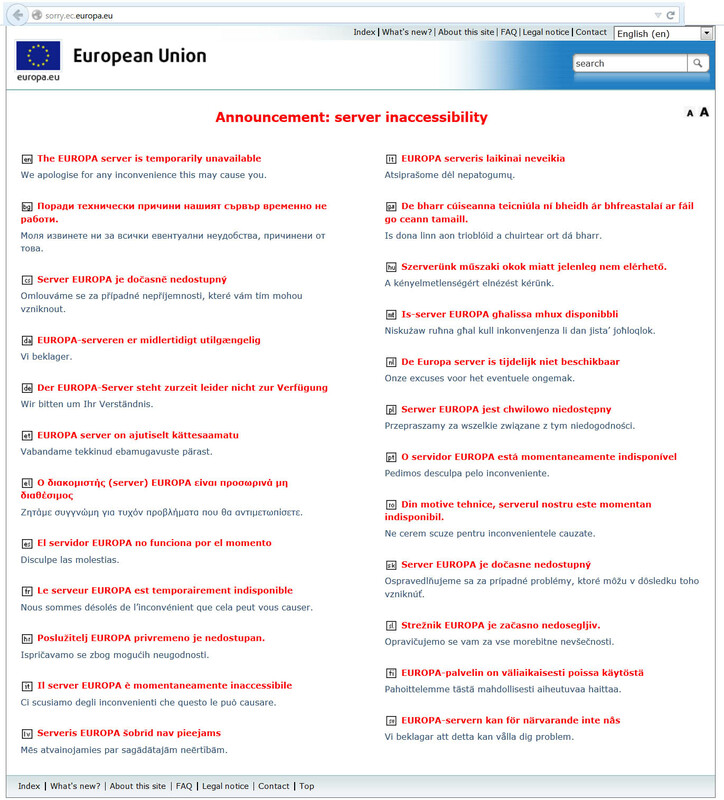 Have We Hit Our Level Of Incompetence? 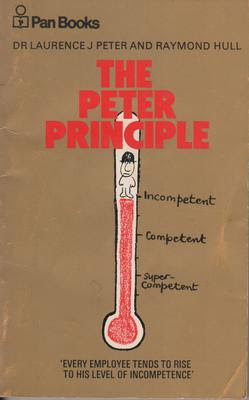 The Peter principle is a concept in management theory formulated by Laurence J. Peter in which the selection of a candidate for a position is based on the candidate's performance in their current role, rather than on abilities relevant to the intended role. Thus, employees only stop being promoted once they can no longer perform effectively, and "managers rise to the level of their incompetence." It can be difficult to reconcile how an intelligent person can also be very incompetent. To an advanced species examining Earth, the search for intelligent life might not be as easy as we think. Humans may sport some of those traits attributed to intelligence but a short-sighted view of the future and the desire to continually shoot ourselves in the foot brings into question man's ability to reach the next level. With this in mind near the beginning of 2014, I penned a piece questioning how so many people were able to think the world's surging population would not become a problem because of new energy sources. While such faith can be sighted as a beacon of inspiration it hardly is justification for mankind to rapidly move towards the point of no return thinking everything will be fine. I pointed out that anyone with even the slightest mechanical knowledge will tell you that solar panels, windmills and such take a lot of energy to build and often are maintenance intense. Both these complicated systems have a short lifespan and require a great deal of energy to be expended in just keeping them up and running. This includes all the BTUs being burned in producing parts that need to be constantly replaced. This was one of my arguments years ago when I expressed concern the optimism surrounding ethanol was being overhyped. At some point, you are not creating enough "net gain" in energy from the total energy produced minus energy expended to claim a major victory in resolving your energy problem. This means the energy we produce in the future may very likely be very expensive. If so, that cost will slow economic growth and remove much of the plentiful bounty we have come to expect and have enjoyed during what I call man's "golden age" or roughly the last 200 years. Carry no illusions the days of cheap energy are behind us and not only has the low-hanging fruit been picked it has been eaten. Sadly, if we look back we will see much of this energy was allowed to go to waste. America has adopted the same attitude towards its buildings. In our fast-changing world, we have made everything disposable. A remove and replace mentality tends not to maximize gains or resources and creates a huge amount of waste. Often there is no way to reclaim much of this and even recycling is inefficient. This acceptable lifestyle and way of doing business has extended down to the point where most consumer goods have become non-repairable. With fast growth, we often see a lack of quality. I contend this is about to catch up with modern society. Why should we think that we are immune to the rules governing the universe? When we look at fast-growing cities where we see buildings erected and ripped down and replaced after only two or three decades we should ask if this is sustainable or our best use of resources. The reasoning behind remove and replace is often that it is far less expensive to just rip it down than to repair or upgrade a structure with labor being the determining factor. Ironically, this is in a world where the number of people in many developed countries choosing to work is declining and those being supported by government programs has risen dramatically. As the noose of reality and finite resources begins to tighten around the neck of mankind do not expect to hear those in charge to scream out warnings from the rooftops. 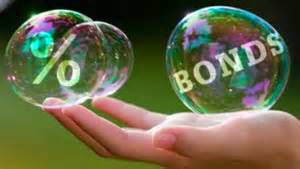 The few mutterings we hear will be from people tagged as "gloom and doomers" who only see the glass as half empty and are incapable of seeing it is really half full. When we approach the tipping point promises of easier, cheaper, and ever better ways of postponing the inevitable will prove to be an illusion. This means new problems will begin to materialize on a daily basis and the reality our options are evaporating will be both abrupt and harsh. As I ponder our fate is it possible the collective human race is also governed by the "Peter principle" and if so, how will humanity escape this trap? An example of man's collective incompetence recently arose with the clumsy destruction of Mosul in northern Iraq. 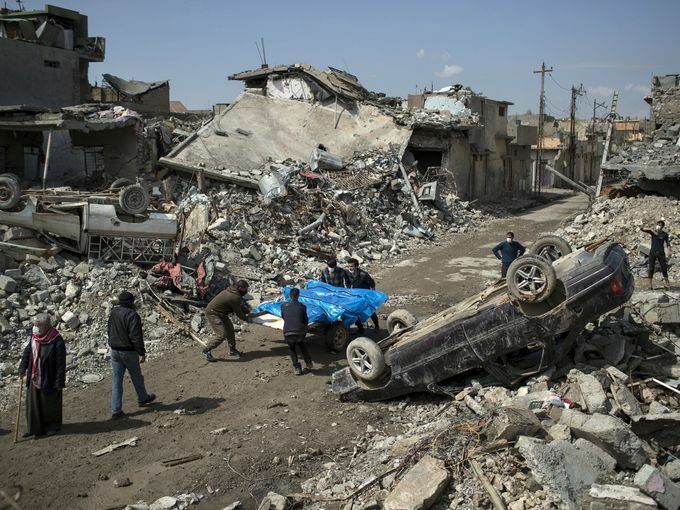 Much of the world chose to ignore what happened there when a coalition of anti-ISIS forces retaking Mosul rapidly reduced the proud city to rubble. Upon seeing the pictures of the city in ruins it is not difficult to imagine 100,000 or more of the innocent people trapped within the city killed as troops seeking to eradicate some four to six thousand ISIS fighters went about their task. Little praise can be shed upon those who allowed and enabled a few extremist to take their weapons from them and then wreck havoc upon this peaceful city. 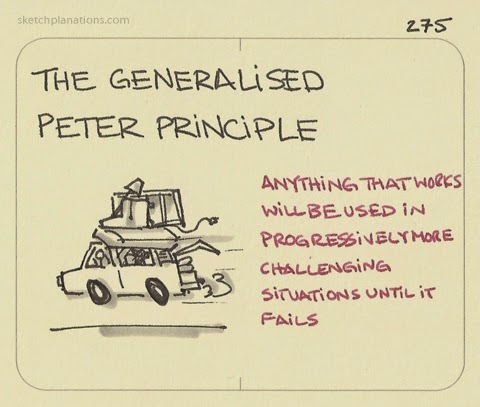 As previously mentioned, the Peter Principle is based on the notion that employees will get promoted as long as they are competent, but at some point will fail to get promoted beyond a certain job because it has become too challenging for them. Employees rise to their level of incompetence and stay there. The question here is whether mankind will be halted by the same dilemma. I'm not saying that we should stop moving forward or should erect barriers to our progress, but it would be wise to give the issue of creating a more sustainable future a bit more thought. This should be a priority because it appears we are already sowing the seeds for a less than compelling future?